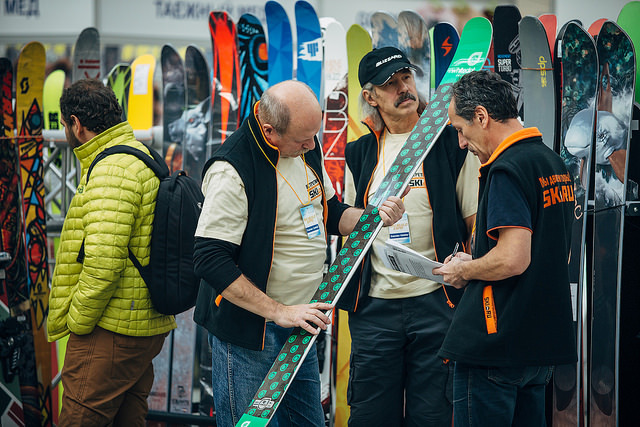 In October 24-26, 2014, the historical building of Gostiny Dvor (XVIII Century) played host to the 21st "Moscow Ski&Board Salon" trade show and "Ski Build Expo" forum. 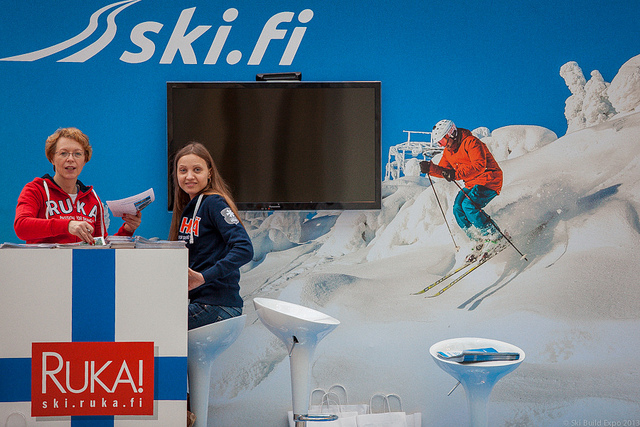 The show featured over 200 exhibitors from 17 countries: Ski Build Expo - 47%, sport goods - 31%, travel companies + mountain-skiing complexes and hotels - 32%. The brutto area of exhibition grounds of Gostiny Dvor is 12.000 sqm / the show venues occupied some 2900 sqm. For such branches of winter sports industry as skiing, snowboarding, and mountain tourism, sport business, production and selling of equipment for skiing and snowboarding, construction and servicing of sports facilities and ski resorts, Moscow Ski&Board Salon / Ski Build Expo is the main expo event held in Russia. This trade show provides a place for the productive dialogue between the advocates of healthy lifestyle and the representatives of the world's leading sport brands, professionals of travel market, ski resorts and national tourist offices, Russian mountain resorts and the leading companies providing the architectural proposals and concepts for the skiing facilities. 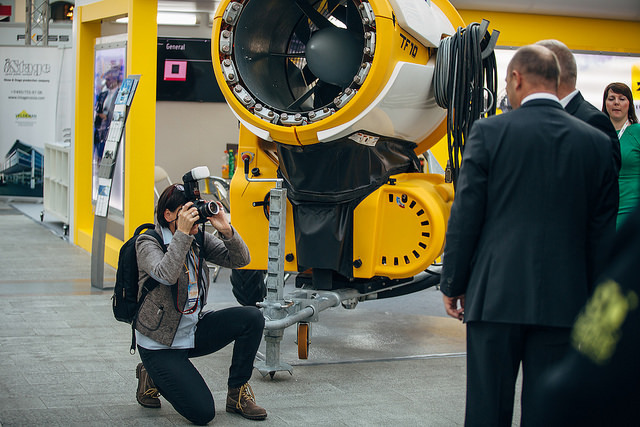 Companies from 17 countries showcased their offers of goods and services. In the recent years, Ski Build Expo shows steady growth - in 2014, it again grew by 19 percent. As always, Moscow Ski&Board Salon featured an eventful sport program that included a ski sprint and a rock-climbing contest (Youth Cup of Europe and Russian Cup, difficulty, and speed), as well as contests in the fun venues "Safety Extreme", dry skating rink, and Panda Park. The business program of Moscow Ski&Board Salon – the key events of the show's business program were the forum "Active sports as an extra impulse to development of small cities", the forum on cross-country skis, International Business Forum of Ski Resorts held within the framework of Moscow Ski&Board Salon, and the Winter Session of the Summit of the sport store directors: the joint project by "Moscow Ski&Board Salon" and "Sport B2B" Group. In conclusion, we would like to say the following: we have been organizing this fair for more than twenty years. We keep track of our common market all the time - because we are part of this market. We care what goes on, and we care about the state of the market. And if you do not yet know how to use Moscow Ski&Board Salon for your purposes, if you do not have program of promoting your company or your brand on the market, if you do not have means to participate in the exhibition, or the owners of the brand that you deal with do not give them to you, come to us, we will give you the idea how we, Moscow Ski&Board Salon can help solve you business tasks! We are always with you and we are always on your side, we are your team, and we are open to cooperation! Join in! Looking forward to your comments and suggetsions! Oh, we forgot to share about "Summer in the Mountains" - but that's a different story !